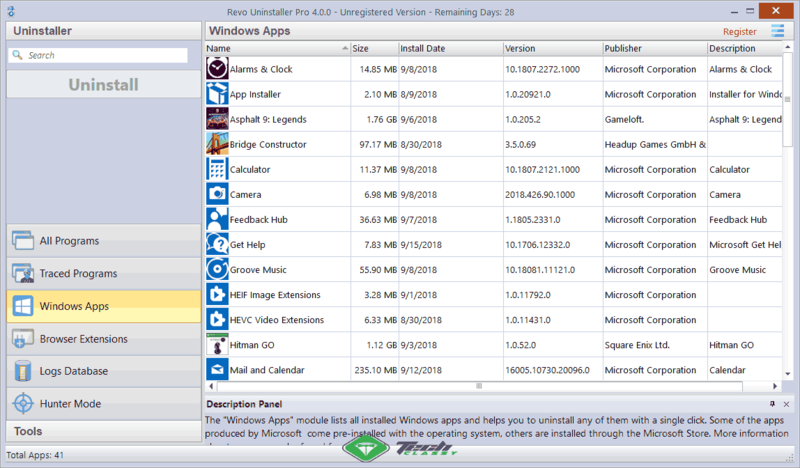 Revo Uninstaller Pro 4 is a solid software that can remove any unnecessary, stubborn and regular programs, and even the universal Windows 10 Apps from your PC. It is one of the best programs available in its category. Are you looking for a perfect software/app remover for Windows? Read this unbiased Revo Uninstaller Pro 4 review. It can help you to decide the right thing for you. To remove unwanted, stubborn programs completely from your PC, Windows built-in feature is not enough. You will need programs like Revo Uninstaller. Because, When you uninstall anything from your PC, it leaves some residual files, registry entries. That occupies your valuable hard drive storage. So, To remove these program from the root, you need a third-party tool. 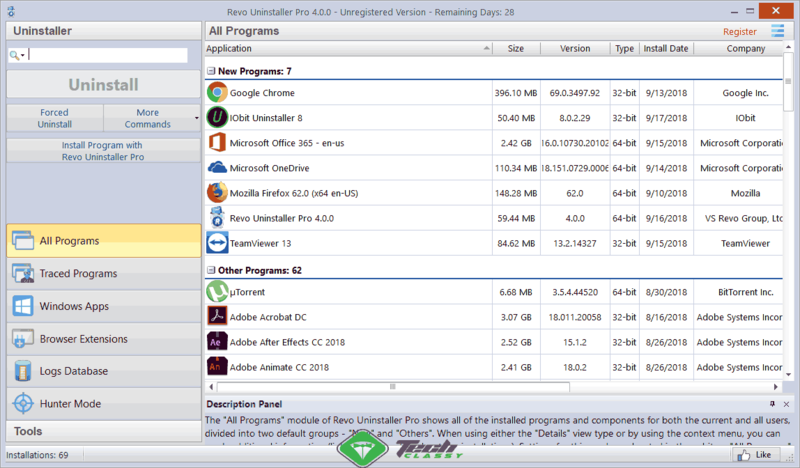 The new Revo uninstaller pro 4 is superior and better than its previous version. Its developer company VS REVO GROUP has brought new features and performance improvements in this software. This unbiased review is going to explain all the things about it. This software is full of features and functionalities. Here is a list of major features. There are the major features. You can do even more with Revo uninstaller pro. It has all must need features. 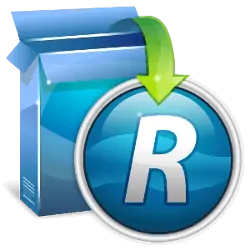 When you uninstall any apps or software using this Revo Uninstaller Pro, it runs deep scan immediately after that removal. Then, It shows the leftovers including registries so that you can delete them. It also can do the whole process automatically. 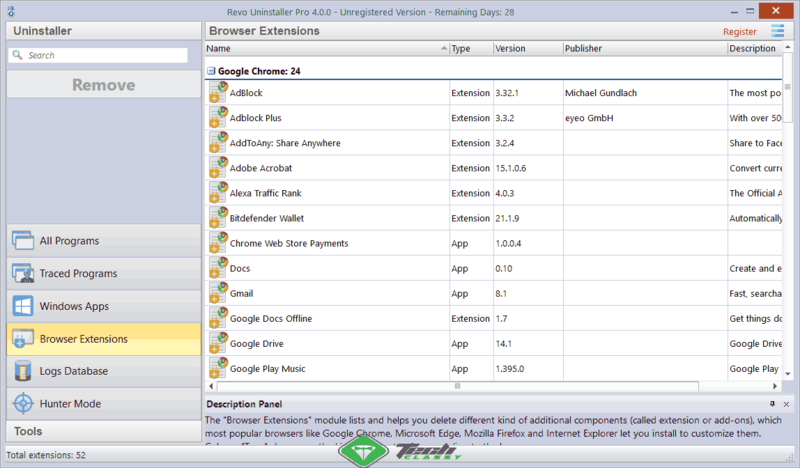 No doubt, The new Revo Uninstaller Pro 4 has all the necessary features. In addition, it has a pretty cool feature called hunter mode. It allows you to uninstall any programs that are not available in the program list for some reasons. Unlike traditional win32 apps, Windows 10 users can enjoy modern UWP apps. These can be removed very easily without any additional uninstaller. But, If you want to remove the built-in apps, there is no uninstall button. In this case, The Revo uninstaller 4 pro can help you. It can uninstall stubborn built-in bloatware very easily. You also can clean junk files, erase footprints of your work on the hard disk and also can delete stubborn unremovable folders. Else, It has additional tools like autorun manager and windows tools that let you do more things beyond program uninstalling. It also has a backup manager which helps you to recover if you face any issue after uninstalling any specific programs. Unlike the previous versions, Revo uninstaller 4 has got a new and good-looking interface. It is also very user-friendly. But, I feel they could make it even better. Because It doesn’t look modern like IObit uninstaller. But, It is enough and a very good interface but not decent. When you open this program, you will get all of the necessary options on the home page. In the left sidebar, you will get all the toolbars and options. In fact, Its UI is very simple and almost no user will complain about the user-friendliness. When we talk about the performance, Revo uninstaller 4 pro is excellent. When I tested, it performed very smoothly and I faced no problem with performance. Everything seems very fast and perfect. Even I have not encountered any noticeable problems while removing any stubborn program from my PC. But, One thing you may notice. Like other similar programs, you can’t remove all built-in apps from Windows 10. For example, You can uninstall many built-in Windows 10 apps except Microsoft Edge. In fact, Revo uninstaller 4 pro is a decent unwanted software remover. But, It doesn’t have a software updater feature like IOBit and also it is laking a feature called Bundleware remover. Pricing may seem a bit more than it should be. But, It has features that are not available in other similar programs. It has a very flexible pricing option. One PC license for one year will cost you 24.95 US Dollars. For two years, it will cost $39.95. It has a portable version which comes with unlimited PC license. It will cost just $29.95. Its price is a bit higher. But, It offers 30 days free trial that requires no credit card or account. It is a very positive thing. I hope after reading this Revo uninstaller pro 4 review, you have got an idea about it. If you think, it is perfect for you, you can use this program. The good thing is, it has a trial version. So, Before choosing it, you can try it for free. In fact, Overall, It is great software. I don’t have any problem to recommend it to you.